While Evelyn does maintain a sense of humility concerning her culinary skills, all who know her are aware of the fact that Ms. Estava brings the absolute best of herself into every endeavor, from cooking to violin playing. It is therefore understandable that she feels a great deal of responsibility about her next performance, one that represents the continued evolution of an important American musical work. On Saturday, November 19, 2016, Evelyn Estava will play the premiere of Charlie Harmon’s On The Town Rhapsody: Rhapsody for Violin and Orchestra, a new work based on themes included in Leonard Bernstein’s 1944 musical On The Town. Adapted for the musical theatre stage from Jerome Robbins’ 1944 ballet Fancy Free which chronicles the madcap adventures of three sailors on twenty-four hour shore leave, Bernstein’s On The Town is significant in American musical theatre history for many reasons, including both to the presence of a multiculturally diverse cast AND the intentional avoidance of racial stereotypes: in 1944, during World War II and the internment of Japanese-Americans, Japanese-American dancer Sono Osato starred in the role of Ivy Smith (“Miss Turnstiles”). Composed in 2015, the On The Town Rhapsody is a result of Mr. Harmon’s long and fruitful association with Leonard Bernstein. In 1982, Mr. Harmon answered an ad in the New York Times for the position of assistant to a “world-class musician”, and from that moment became an important component in the preservation of Mr. Bernstein’s compositional legacy: from 1986 to 1988, Mr. Harmon was instrumental in the creation of the Bernstein Archive now in the Library of Congress. After the success of a 1989 recording of Candide that featured performance materials provided by Mr. Harmon he became Mr. Bernstein’s music editor, and we owe a debt of gratitude for his hand in the first publication of full scores of West Side Story, Candide, On the Town, Wonderful Town, 1600 Pennsylvania Avenue, and Mass. 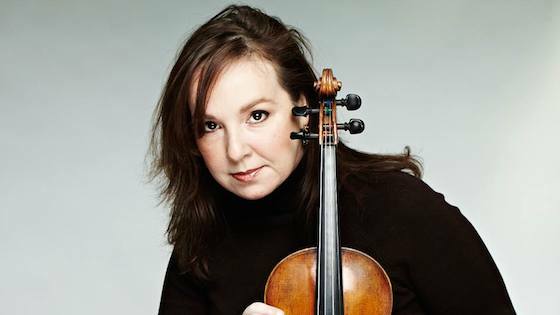 The violinist’s world is not without historic collaborations between violinists and composers: from the mid-nineteenth century and Joseph Joachim’s counseling of Johannes Brahms, Max Bruch, and Antonin Dvorak to the recent collaboration between Scottish violinist Nicola Benedetti and Wynton Marsalis on the latter’s Violin Concerto (premiered in 2016 at the Ravinia Festival with the Chicago Symphony Orchestra), these collaborative efforts have all been highlighted by what Nina Totenberg refers to as "a conflict between the intellect of the composer and the dramatic sense of the performer." It was Charles Prince, music director of the Plainfield (NJ) Symphony, who presented Evelyn with this opportunity. Over the many years of their association as concertmaster and music director, Maestro Prince and Evelyn have performed works including the Korngold Violin Concerto and Johannes Brahms’ “Double” Concerto for Violin and Cello. These performances have been a part of Ms. Estava’s profile as a soloist and chamber musician across the state of New Jersey, where she has performed works of Tchiakovsky, Bartok, and others. “When Charlie Prince gave the score in April of this year, he simply said ‘this is a gift for you – it’s a world premiere and I want you to play it’,” Evelyn said. “Being granted this task did feel a little overwhelming as I had no idea that it was in the works, and I have since June have been taking time to learn this piece.” To have been entrusted with such a task has been both humbling and strong confirmation of the musical relationship shat she has built with Mr. Prince, and Evelyn’s preparation of this piece has included violinistic, musical, and philosophical contemplation. This creative effort has, unlike those of earlier centuries, been in some ways dependent on technology. While Evelyn has not had an opportunity to fly to Florida for direct consultation with Mr. Harmon, they have communicated via telephone and email. Mr. Harmon will, however, be present at every rehearsal, and there will be members of the Bernstein family at the performance. Walking the tightrope of making a piece playable while also contributing to it, Evelyn’s work with the On The Town Rhapsody has included writing a new cadenza. “The first time I played the piece, I thought that the cadenza was short and also noticed that it did not include ‘Lonely Town’, one of the most important songs in the musical. Oddly enough, members of the Bernstein family felt the same!" This addition to the cadenza is short, and during this process I have been recording what comes to mind with the intention of creating a coherent addition. Evelyn Estava will premiere Charlie Harmon’s On The Town Rhapsody with Charles Prince and the Plainfield Symphony Orchestra on Saturday, November 19, 2016 at 7:00pm. For more information on the Plainfield Symphony, please visit www.plainfieldsymphony.org. For more information on Ms. Estava, please visit her Facebook page.